Located in desirable Meredith Glen Estates Adams Twp. This exquisite custom built estate offers 5 bedrooms and 5.5 bathrooms. Pristinely maintained situated on slightly over an acre. 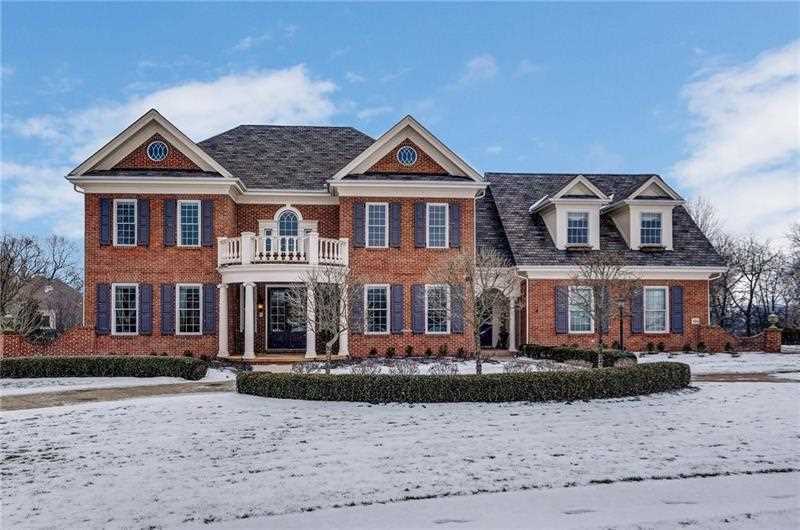 An elegant 2 story entry showcases the undeniable craftsmanship and quality products from the crown molding to the custom stained hardwood flrs. Spacious gourmet eat-in kitchen flows nicely into the family rm & covered back patio equipped with outdoor kit & gas fireplace. Beyond the patio are lush gardens surrounding the property, & heated in-ground salt water pool with pergola. 1st fl master suite with cathedral ceilings, recessed crown molding, overlooking the private yard. Master bath with jetted tub, separate oversized shower & walk-in closet. 1st fl. laundry room and separate mud room. 2nd floor boasts a custom paneled den with built-ins, 4 large bedrooms each with private access to bathrooms and a 2nd laundry room. Fully finished walk out basement with extra bedroom, fireplace, gym & billiard area. Directions: From Route 228, Turn onto 3 Degree Rd. Turn right onto Davidson Rd. Bear right onto Meredith Dr. Turn Left onto Cambridge Dr. Stay right onto Cambridge Dr. I was searching for a Property and found this listing (MLS #1379496). I would like to schedule a showing for 324 Cambridge Dr Mars, PA 16046. Thank you! I was searching for a Property and found this listing (MLS #1379496). Please send me more information regarding 324 Cambridge Dr Mars, PA 16046. Thank you! MLS # 1379496: This property at 324 Cambridge Dr, Mars, PA 16046 is located in the subdivision and is listed for $1,200,000. MLS # 1379496 has been on the market for 74 days.